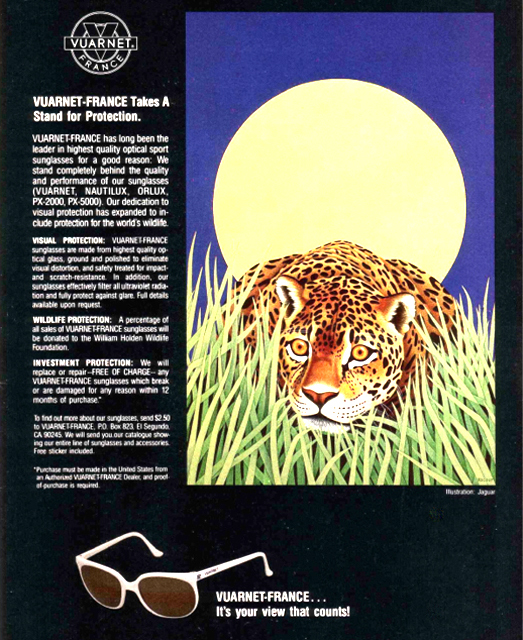 The Vuarnet sunglasses brand was developed in association with the invention of the revolutionary Vuarnet Skilynx lens in 1957 by French opticians Roger Pouilloux and Joseph Hatchiguian. This lens was incredibly bright, allowing skiers to make out any ground undulations even while skiing in white out conditions - a true game changer for the athletic sport and for recreational skiers. 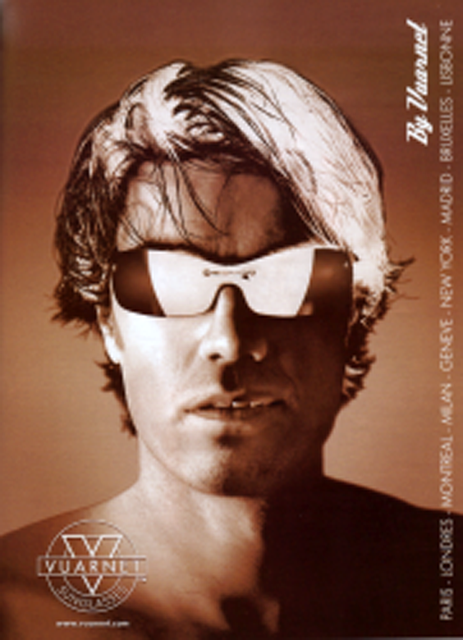 The sunglasses were originally marketed under the name Skilynx Acier and were provided to the French ski team. 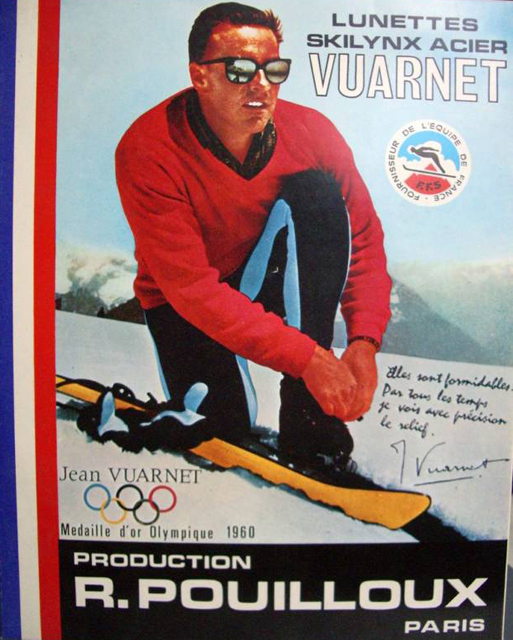 After alpine ski racer Jean Vuarnet of France, a child prodigy skier who invented “egg position” (an aerodynamic tuck position used in downhill skiing), won the gold medal in the Downhill at the 1960 Winter Olympics in Squaw Valley, Utah, an agreement was reached to market the sunglasses using his last name as the brand name. 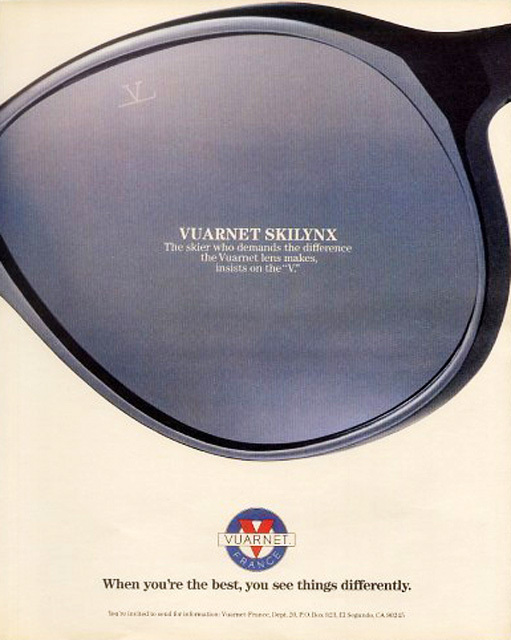 Jean Vuarnet was wearing the 002 Skilynx lens for the race, a gift from Roger Pouilloux. 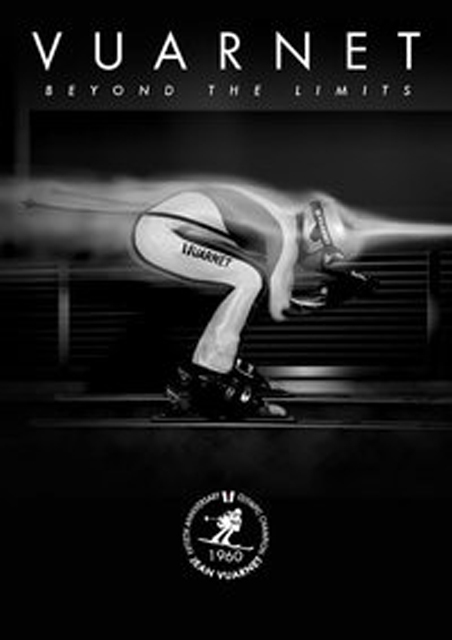 Soon after winning the gold medal, the two decided to work together and thus the Vuarnet brand was born. In 1980, Vuarnet glacier glasses were introduced and worn not only by skiers and alpine climbers but also by celebrities such as Miles Davis. 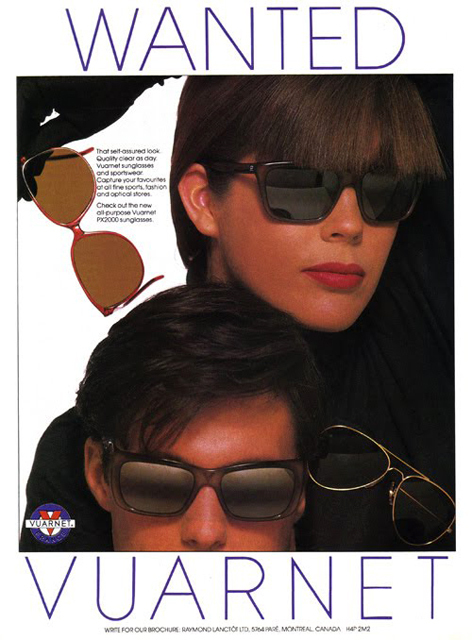 The 80’s also marked the beginning of Vuarnet’s American invasion as the glasses were an extremely popular hit and seen on the faces of celebrities from Mick Jagger to the Kennedys; everyone loved the "Made in France" style so different from the Ray-Bans of the day which dominated the American market during those years. 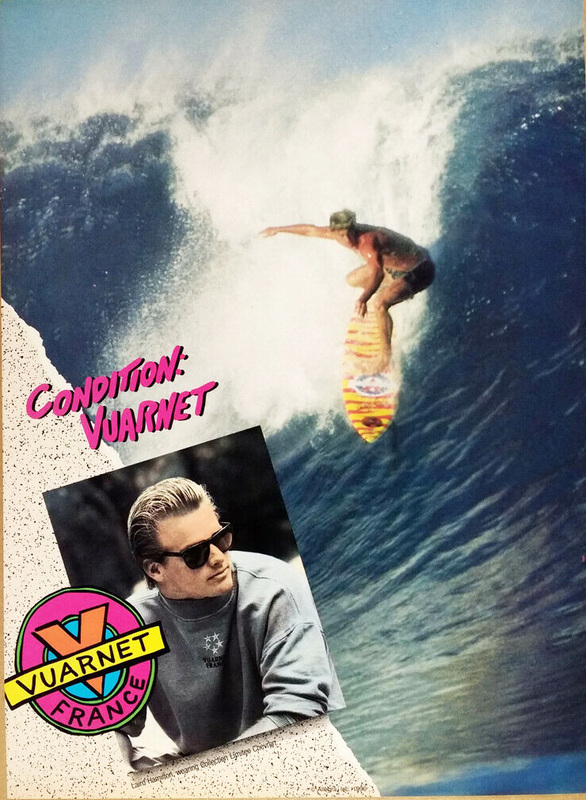 Vuarnet became an official corporate sponsor of the 1984 Summer Olympics in Los Angeles where the term "It’s a Vuarnet day today" to describe a sunny day was coined. 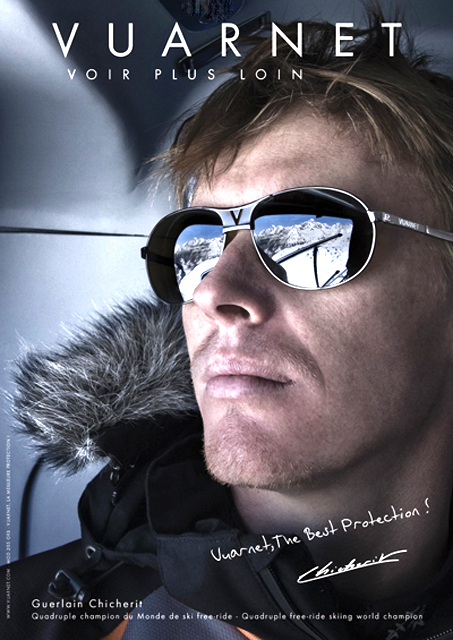 Vuarnet lenses incorporated a "blue blocker" coating which offered superior protection from the sun in leisure-oriented sports and adventure activities to minimize glare. Glare reduction is particularly important to ski eyewear and goggles, for harmful UV rays reflect off the snow to challenge vision, and yet traditional polarized sunglass lenses were poorly suited to depth perception and being able to see moguls on the ski slopes. 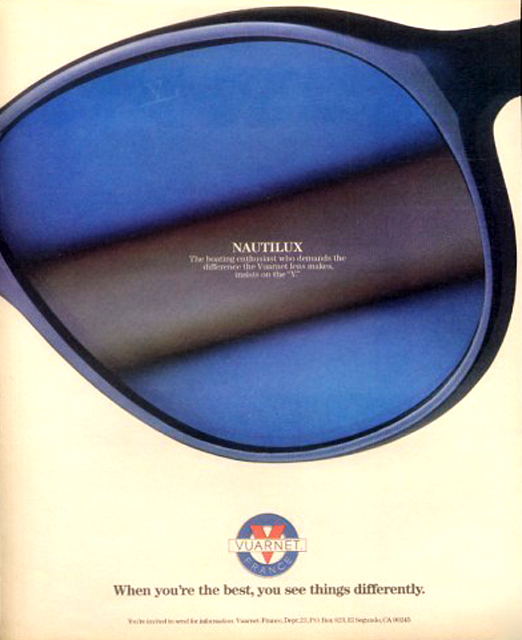 Click to see our vintage Vuarnet Sunglasses Advertising Gallery! 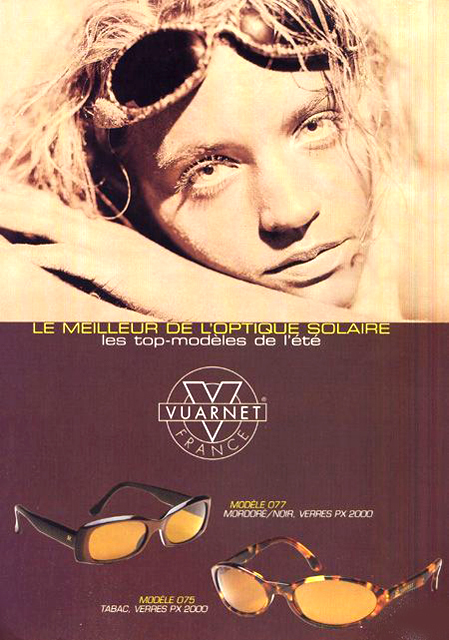 While Vuarnet eyewear is still made today, it falls well short of the quality and design of early Vuarnet PX Pouilloux sunglasses from the 1970s - 1990s including the famous Vuarnet Skilynx, Nautilux, Unilynx, Lynx, and more. While all vintage Vuarnet are multi-purpose and can be used in a variety of situations, the chart below illustrates the most common correlations between primary uses and optical performance. Vuarnet nylon frames have superior memory and will keep their shape even after being twisted or bent, and vintage Vuarnet frames were all made in France and will have PX and Pouilloux marked somewhere on the frame. All authentic Vuarnet Skilynx lenses will have a stylized V on a Ski laser etched into the glass lenses near the top center. High performance and high style, vintage Vuarnet sunglasses are hard to beat and are perfect unisex sunglasses for both men and women. Vuarnet is most synonomous with optical innovation when it comes to the development and evolution of Vuarnet mineral glass lenses. Vuarnet lenses are made from a special base, ground and polished on both sides to eliminate distortion and provide 100% protection against harmful ultraviolet radiation and enhance depth of field perception. They are tempered to provide excellent scratch and impact resistance and vacuum treated with multi-layered coatings. The iconic Vuarnet Skilynx lenses have silver double gradient filters on the fronts to absorb glare and have anti-reflective coatings on the backs to eliminate irritating bounce back light. Be forewarned that vintage Vuarnet sunglasses and lenses are actively counterfeited just like most every major brand of vintage designer sunglasses. All vintage Vuarnet glass lenses are made from the finest glass ground and polished on both surfaces to eliminate distortion and thermally treated for impact resistance and scratch resistance. 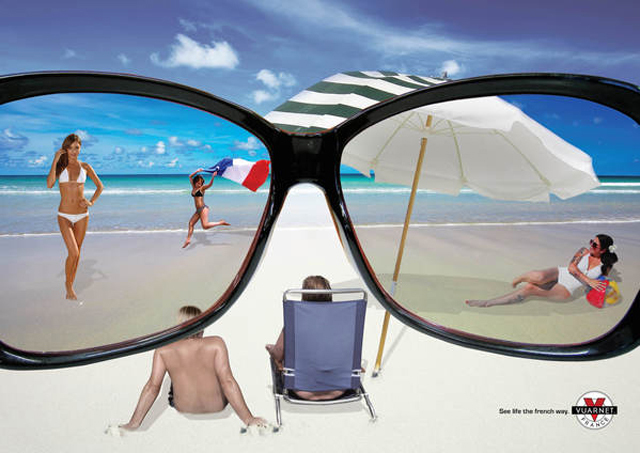 All provide 100% protection against harmful ultraviolet rays and are suitable for nylon and metal frames. The graph below shows the different levels of protection provided by Vuarnet lenses, the most comprehensive range of sunglass lenses in the world, and allows comparison of their performance characteristics. The Vintage Sunglasses Shop has gathered technical data on vintage Vuarnet sunglass lenses and their respective performance characteristics to aid you in your selection of the best vintage Vuarnet sunglasses for your needs and lifestyle. You can see our entire selection of vintage Vuarnet sunglasses with complete descriptions or with thumbnail pictures all on a single page in our photo gallery. 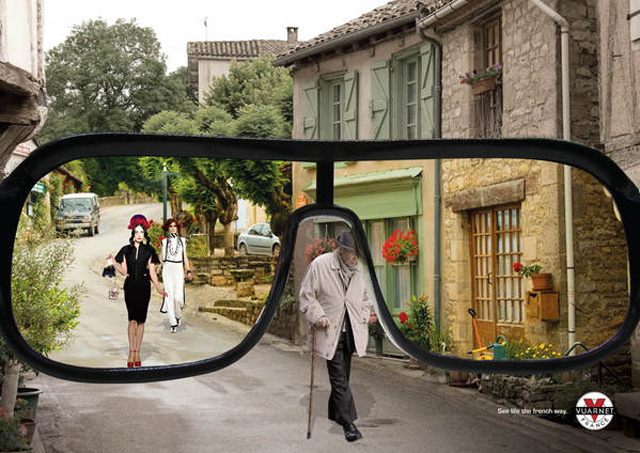 Get cool and eclectic vintage fashion style and quality in men's and women's sunglasses, and don't be fooled by fakes. See our entire inventory of vintage Vuarnet sunglasses all on one page in our Vuarnet sunglasses photo gallery or with complete descriptions in our listing gallery.